In 1853, Louis Vasquez a good friend and business partner of Jim Bridger, had this 40 caliber half-stock rifle engraved J. Bridger 1853, and presented it to Jim for reasons still unknown. Perhaps it had something to do with their long business association or possibly it was due to the fact that 1853 was indeed a turning point in Jim Bridger’s life. Following Bridger’s death the rifle was held as part of a private Buffalo Bill Collection. In 1940 the scout’s rifle and the powder horn were put to auction by Theodore Dexter, then one of the most notable rare-arms dealer in the United States, and it stayed in the private collection of Mr. A. W. McCollough of Laramie, Wyoming until 1968. 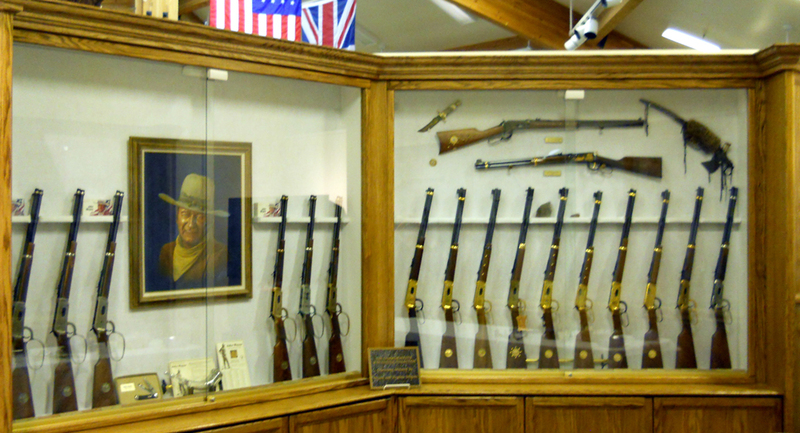 Rare-arms dealer Robert Nelson of Cheyenne, Wyoming purchased the Bridger Rifle in 1968 but subsequently sold it to another dealer in Texas where it has remained until it found a permanent home in the Museum of the Mountain Man in 1988. This half-stock, percussion plains rifle is bored .403 Caliber (rifled). It carries a pewter fore-end cap, brass trim, “plains” style trigger guard, H.T. Cooper back-action lock, and hickory ramrod. 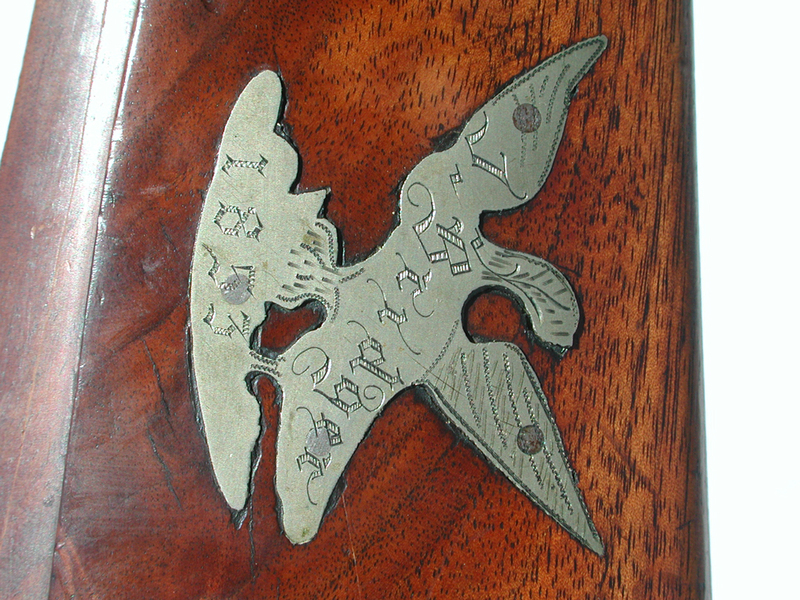 The rifle’s walnut stock is decorated with inlain eagles, the left eagle engraved, “J. Bridger 1853.” An unusual feature is that its stock was built with two cheekpieces. Riflemaker W. Ogden of Owego, New York stamped his name on the barrel. It weighs eleven pounds and its overall length is 49-1/2 inches. Gift of the May Schwabacher Memorial. This entry was posted in Exhibits, Featured, Fur Trade Exhibits, Permanent Collection on January 7, 2014 by Gliffen Designs. In life, Hugh Glass became a mountain man. In history, Hugh Glass evolved into a legend of the Rocky Mountain fur trade. In Hollywood’s film, The Revenant, Hugh Glass emerged as a larger-than-life character of the American West. As such, Glass’s epic tale of survival has rendered him one of America’s most indomitable mountain men for nearly two-hundred years. While hunting near the headwaters of South Dakota’s Grand River to supply the 1823 Ashley fur trapping party with food, Glass encountered a sow grizzly bear and her two cubs. The enraged bear charged and severely mauled the mountain man. Believing Glass only had a few hours or a day left to live, Major Henry, leader of the Grand River party, requested two volunteers to stay with Glass until he died. Apparently, Glass’s indomitable spirit kept him alive longer than his comrades were willing to wait. Fearing for their own lives, Glass’s companions left him for dead without his gun and other necessities. Vowing to exact revenge on the heartless deserters, Jim Bridger and John Fitzgerald, Glass mustered up the raw courage he needed to doggedly crawl more than 200 miles to safety at Fort Kiowa. After recovering from his wounds, Glass tracked down Jim Bridger. Realizing that Bridger was just a kid, Glass decided to forgive him. Discovering that Fitzgerald had joined the Army, Glass was compelled to give up his pact for revenge. Glass returned to the adventurous and dangerous life of a trapper for the next decade. While trapping along the Yellowstone River in 1833, Glass and two of his companions were killed by the Arickara. The grizzly bear mount in this diorama represents the largest size that sow grizzly bears ever achieve in a lifetime. The Museum of the Mountain Man would like to thank all the donors and granting foundations, whose generosity made this diorama possible. This entry was posted in Current Exhibits, Exhibits, Featured, Permanent Collection on November 26, 2013 by Gliffen Designs. The most powerful short bow of the Native American horse culture, sheephorn bows were backed and wrapped with sinew for increased strength and recoil. Such a bow was a prized possession. This specimen is one of the oldest authenticated, and was probably made using stone tools. It dates to 1690 – 1730 and is approximately 34 inches long. This entry was posted in Permanent Collection on November 26, 2013 by Gliffen Designs. One of the highlights of the Museum of the Mountain Man is the full-scale replica of American Horse’s tipi, which stands in the center rotunda of the museum’s main exhibit gallery. 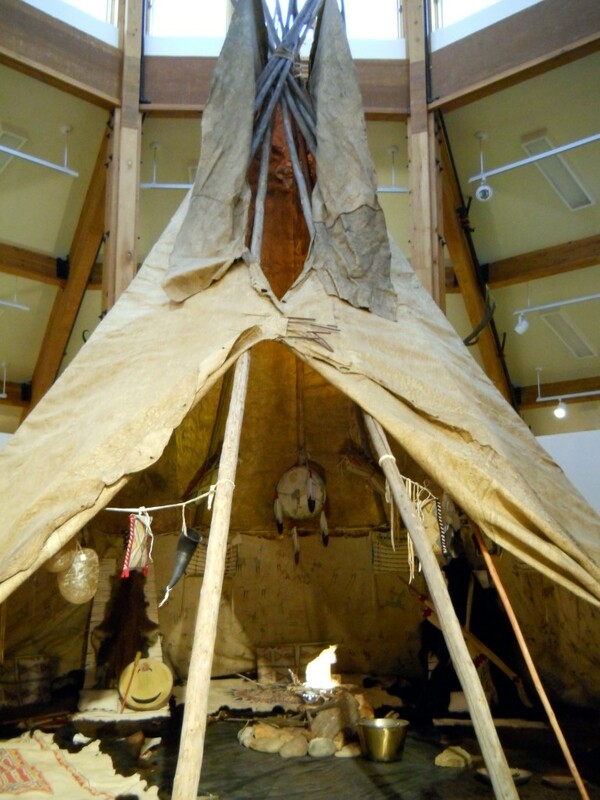 The 20′ diameter, brain-tanned buffalo hide tipi is one of the few buffalo-hide tipis in existence today, and one of only two on display in museums. This display comes complete with furnishings, buffalo robes, utility bags, hand-painted drum, parfleches, headdresses, buffalo bull neck shield, bow and arrows, elaborately pained buffalo hide liner, war lance, pipes, Indian kitchen, and much more. This exhibit is a donation from Gayle McMurry Kinnison through her Wyoming Community Donor Advised Endowment. The U.S. Army captured the original buffalo hide tipi on September 9, 1876, following the Battle of Slim Buttes, South Dakota, against the Sioux. The tipi belonged to Chief American Horse of the Oglala Sioux, who had fought in the Battle of Little Bighorn against General Custer on June 26, 1876. Captain Anson Mills, who led his cavalrymen to victory at Slim Buttes, captured the tipi and many battle trophies that American Horse had taken from Custer at Little Bighorn, including the 7th Cavalry flag. After the Battle of Slim Buttes, frontier photographer Stanley J. Morrow photographed captured Sioux women and children and the 7th Cavalry flag in front of the tipi. Captain Mills claimed the tipi as spoils of the battle, and it remained in his family until finding its final home at the Smithsonian Institution. The original American Horse tipi is one of only thirty-two surviving buffalo hide tipis from the nineteenth century, and one of only four used prior to the reservation era, making it a rare national treasure. 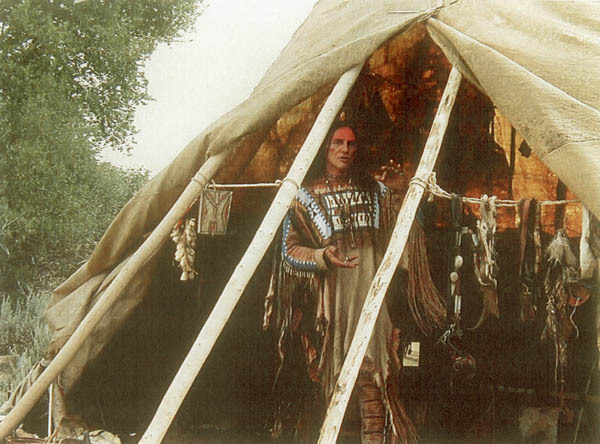 Native American historian Michael “Bad Hand” Terry created a full-scale tipi for the Museum of the Mountain Man as an authentic replica after carefully studying the artifact at the Smithsonian Institution’s storage facility in Suitland, Maryland. He duplicated each stitch, patch, and measurement of the original, which the Smithsonian considers too fragile to display. Terry used twenty buffalo hides and painstakingly sewed them together by hand with sinew. The replica is twenty feet in diameter, just like the original, making it the largest buffalo hide tipi on exhibit in the world. The beautiful replica is one of the museum’s crown jewels, and is decorated with reproduction furnishings and accoutrements typical of the tribe during the period. The tipi makes an excellent backdrop for a family photo. Make sure to snap a shot during your visit to the Museum of the Mountain Man. This entry was posted in Current Exhibits, Exhibits on November 26, 2013 by Gliffen Designs. Sublette County and the Sublette County Historical Society are proud to announce the acquisition of a number of very unique and important historical documents related to the Rocky Mountain fur trade of the early 1800s in Sublette County. Just before Christmas, the Historical Society became aware of an extraordinary public auction of a huge collection of extremely rare original documents related to American history. This was an estate auction from the private collection of Floyd Risvold, who passed away in June 2009 in Minnesota. Risvold, 97 years old at the time of his death, had been a collector of historical documents for over five decades, mostly with a focus on postal routes related to American exploration and expansion. The Risvold collection included material from early Indian wars, American fur trade companies, Civil War, Mormon history, railroads, steamboats, Pony Express letters, military forts, and much more. The collection included historical postal envelopes – many with their original contents, autographs, manuscripts, rare photos and books – documents which bring to life the story of America’s journey westward. The documents included a collection of particular interest to the Historical Society and the Museum of the Mountain Man: an extensive assortment of letters and business papers related to the Rocky Mountain fur trade era of the early 1800s. 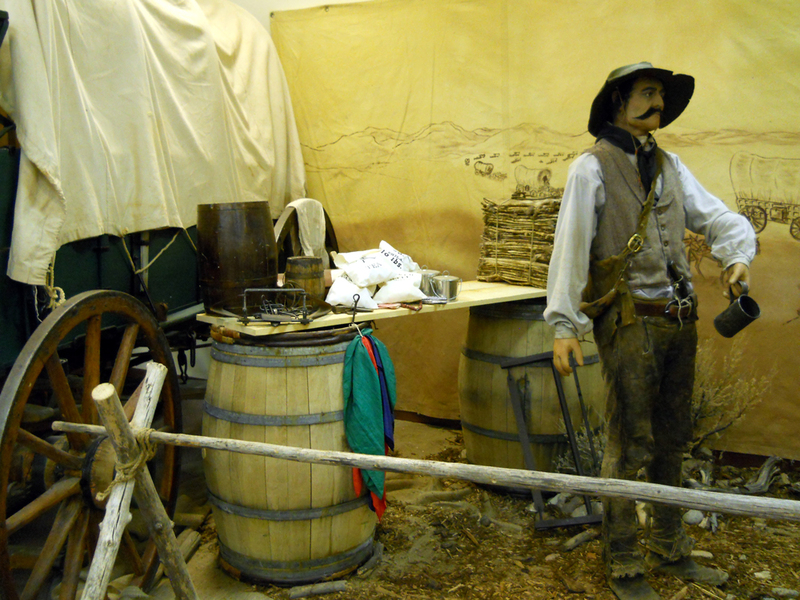 The Upper Green River Valley was one of the primary locations for fur trapping and trading activity during that time period, and this history is the main focus of the Museum of the Mountain Man. Actual artifacts and original documents that directly relate to the fur trade are extremely rare, and this auction represented a once-in-a-lifetime opportunity to purchase genuine, irreplaceable artifacts which are a part of American history. Fur-trade documents rarely come available on the open market. This estate auction garnered national attention and attracted over 600 bidders. With very few recent comparables, no one really knew what the documents were worth or what they would sell for. The Historical Society immediately acted to fundraise private money to obtain as many documents as it could for the Museum of the Mountain Man in Pinedale. Historical Society members pored over the catalog of hundreds of documents to come up with a priority list. The documents the Historical Society was interested in were letters and business papers written and signed by some of the biggest names in the Rocky Mountain fur trade such as William Sublette, Robert Campbell, Thomas Fitzpatrick, John Jacob Astor, William Ashley, Jedediah Smith, Nathaniel Wyeth, Lucien Fontenelle, William Drummond Stewart, and more. Creating a sense of urgency to the fundraising efforts was the news from experts in the field that the document sale prices could go many times the estimated high bid price listed for each document. The Historical Society decided to approach the Sublette County Commissioners for additional funding for the acquisition effort. The Sublette County Museum Board and County Commissioners agreed to use money from the County’s Museum Board reserve fund to assist in purchasing as many top priority documents as possible. On such short notice, it would have been impossible for the Historical Society to bring these rare documents back to Sublette County without the emergency help of the County Commissioners, and it was an opportunity Sublette County would likely never have on this scale again. The three-day auction was held January 27-29 at the Spink Shreves Galleries in downtown Manhattan. Historical Society board member Clint Gilchrist, fur trade historian Jim Hardee and Historical Society member Dawn Ballou flew to New York for the auction with a Wish List of 65 lots of specific interest to Sublette County related to the Rocky Mountain fur trade. Lots were auctioned at a pace of about one per minute, with bids entered live in the room, over multiple live telephone lines, two live internet feeds and mailed-in. Early on the first day, a John Adams letter set the tone by selling for $160,000. Later a Stephen F. Austin letter sold for $180,000 – 12 times its estimated value. However, most lots went in the low thousands range. The final total of 1300 lots was over $7 million. Ultimately, Sublette County was able to obtain 35 lots and the Historical Society obtained 4 lots of the 65 lots on the Wish List. Some of the lots contained multiple documents, so the total acquisition was a little over 90 documents for a total of $271,000. To the community, the Museum, and to history scholars, these documents are priceless. They will become the cornerstone for many future exhibits, interpretive displays and educational programs for years to come. These valuable papers are now in a publicly-accessible repository. They will reside in an institution where the people of Sublette County, and the nation, will be able to see and learn from them. Most have never been publically available before. Far from the reclusive, old, outcast portrayed in fiction books and movies, the letters help reveal educated, adventurous, young men conducting well organized big business that eventually involved the richest man in the country. For example, in a series of William Sublette letters, the prominent fur trader writes about problems with acquisition and transportation of tens of thousands of dollars worth of trade goods on the east coast destined for the Green River Rendezvous in what was to become Sublette County, Wyoming. The County document collection will be preserved and housed through an agreement with the Historical Society at the Museum of the Mountain Man. The Museum will be responsible for managing, protecting, interpreting and displaying the documents. The documents may also be displayed at the Green River Valley Museum in Big Piney. It will take years to interpret and publish the hundreds of stories related to the content of this incredible document collection. The papers will come to the Museum by private carrier sometime this week. Once they arrive, the Museum’s curator will carefully inspect and stabilize them. The documents will be scanned at high resolution so the originals can be safely stored and the process of transcribing the handwritten documents will begin using the scanned copies. Some of these documents are extremely fragile, so it is important that the originals be handled as little as possible. No decisions have been made as to when the documents will be on public display, but it will be as soon as possible once a preservation plan is developed. There has already been much discussion about the endless opportunities for interpretation, education and public displays related to these valuable documents. The Rocky Mountain Fur Trade Era started in 1824 when a small group of trappers including Jedediah Smith, William Sublette, and Thomas Fitzpatrick came over South Pass to find the Green River Valley, full of beaver and few hostile Indians. They quickly developed a system of trappers working the winter in the mountains and a re-supply train meeting them at summer rendezvous taking beaver pelts back to St. Louis, Missouri for sale. The Green River Valley became the center of the mountain fur trade hosting half of the summer rendezvous, and six were held near present day Daniel at the confluence of the Horse and Green rivers. With the decline of beaver and beaver prices, the era ended with the last formal rendezvous in 1840. But the trails blazed by the trappers would open the way for the flood of emigrants on the California and Oregon Trails just a few years later. Just like those of us today who have chosen Sublette County as our home, some of the men could not stay away from the mountains they grew to love. Jim Bridger built a fort in the southern end of the valley which became an important resupply post for pioneers on the Oregon Trail. Well after the hey-day of the rendezvous, William Drummond Stewart and William Sublette travelled 1000 miles from St. Louis in 1843 for a two-week rendezvous reunion vacation on the shores of Fremont Lake and the banks of the New Fork River. Many current landmarks are tied to the era of the mountain man. In 1922, the newly formed Sublette County was named after William Sublette. The Jim Bridger Wilderness in the Wind River Mountain range and the Bridger-Teton National Forest are named for the famous mountain man who spent his whole adult life in the mountains. The Fitzpatrick Wilderness, named for mountain man Thomas Fitzpatrick, is on the eastern slopes of the Wind River Range. The Jedediah Smith Wilderness is located west of Jackson Hole. Fort Bonneville, an early fur-trade post, is located just northwest of present-day Daniel, Wyoming. The Hoback, Greys, Labarge, Fontenelle, Blacks Fork, and Hams Fork rivers are all named for mountain men. These all stand as reminders of the mark these brave and enterprising men left on the land and on our heritage. Each summer for the past 75 years, Sublette County has celebrated Green River Rendezvous Days, a re-enactment of the rendezvous and activities of the mountain men who frequented the Green River Valley. The trappers and their time can seem like a distant or faded memory. These 175-year-old documents represent an opportunity to learn more about the events of the fur trade era through the actual words of the people living it in the 1820s and 1830s, bringing the men and our history back to life. The Historical Society is a non-profit foundation organized in 1935. It is the oldest historical society in Wyoming. The Museum of the Mountain Man is operated by the Historical Society in a public-private partnership with Sublette County. The Museum of the Mountain Man was opened in 1990 in Pinedale. The Historical Society holds over 15,000 artifacts ranging from pre-historic to the settlement era. Approximately one-half of the Historical Society’s yearly budget is from private funds and one-half is public funds, via the Sublette County Museum Board. This unique 50-year-old partnership is a commitment by local government and private citizens to work together for local history. Sublette County’s community heritage is preserved and interpreted by a private foundation that can raise private funds to maximize the power of the public funds. Founding members of the Historical Society began the modern-day rendezvous reenactment program in 1936 in Daniel, to celebrate the 100th anniversary of the 1836 rendezvous, which was attended by the first white women to cross the Continental Divide. The Rendezvous Pageant is still performed every year in July by the Green River Rendezvous Pageant Association during Rendezvous Days in Pinedale. Artifacts directly traceable to the mountain man are extremely rare. The Museum’s collection has many period-correct pieces from the fur-trade era, but few directly attributable to the mountain men. 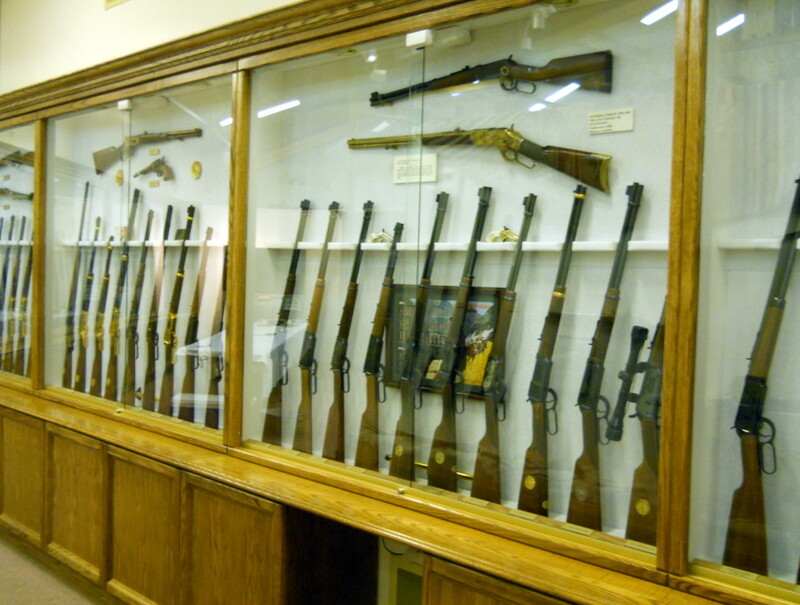 Genuine artifacts in the Museum’s collection include a rifle owned by Jim Bridger after the fur trade era and archaeological pieces from the site of Fort Bonneville. Sublette County’s acquisition of the fur-trade papers significantly expands the Museum’s genuine artifact collection and ability to interpret the Rocky Mountain fur-trade era. Our mountain man heritage is the kinship we have to those adventurous young men who chose this remote and harsh environment to make a living, much like those of us who live here today. We have a multi-generational history of embracing and celebrating the men who opened the West and expanded a country.